Nov. 30, 2009 - The Defense Advanced Research Projects Agency will take the Internet technology it helped create 40 years ago a step farther this weekend with a contest aimed at bringing people together to solve tough problems. And the agency has sweetened the "DARPA Network Challenge" with a $40,000 cash prize. The competition kicks off Dec. 5 at 10 a.m. Eastern Standard Time, when DARPA will display 10 8-foot, red weather balloons at undisclosed, publicly accessible sites around the continental United States. The balloons will remain at their locations throughout the day, until sunset. The first person to identify the precise latitudes and longitudes of all 10 balloons will win the kitty. Norman Whitaker, deputy director of DARPA's transformational convergence technology office, conceded that it would be nearly impossible for any one person to pinpoint every balloon within the designated timeframe. But if the competitors worked together as teams – using social networking forums made possible through the Internet – it is possible, he said. "Nobody knows where the balloons are," Whitaker said. "But we will give people a little more than a week to contact their friends and talk to other people and scheme and plan and wheedle and deedle and figure out how they can get the information for the balloons they did not see themselves, and be the first to send the answers in to DARPA." Whitaker admits that the challenge is "tough, really tough," but said he's optimistic that at least one contestant will be able to solve it. How long that will take is anyone's guess. "If someone does it in the first five minutes, we are prepared to announce it right then," he said. On the other hand, if no one has yet identified all 10 weather balloons after a week, DARPA is prepared to reward any contestant who pinpoints at least half of them. "If the most anybody got was five, we would consider that a win and award the prize," Whitaker said. That's because DARPA's Network Challenge isn't out to identify the answers, but rather, how competitors arrive at them. "We are not interested in the balloons. We already know where those are," Whitaker said. "It's the techniques people use to solve the challenge we're focused on. We have people who are going to be actively watching from the sidelines to see how this plays out." Contestants could employ several methods to entice supporters, Whitaker said. For example, he said, they could use a Web site to offer a portion of the prize money to anyone who contributes information about the balloons' locations. Contestants also could work with a charity, he continued, and donate winnings to its cause. Asking for help through Facebook, I-phone or other Web-based applications might also be feasible, he said. The effort, he said, will give insight into the role the Internet and social networking can play in promoting team-building, collaboration and communication needed to solve broad, time-critical, real-life problems. It's not yet known exactly how that information might be used, Whitaker said, but that's never been a roadblock for the Defense Department's high-tech research agency. "We're DARPA," he said. "We like to do things that are really out of the box." That's how DARPA researchers approached their work 40 years ago, Whitaker said, by scratching their heads and wondering what benefit might come from hooking computers together to form the "ARPANet" – today's Internet. Curiosity and imagination still serves to drive DARPA efforts, he said. For example, DARPA started the Grand Challenge in 2004 to promote the development of autonomous robotic vehicle technology. Participating teams – many representing nontraditional sources of ideas and talent -- designed, built and remotely piloted unmanned ground vehicles that raced the clock while traversing rugged desert terrain. Whitaker, who led the most recent Grand Challenge, said the DARPA Network Challenge will tap into the same fresh thinking that led to the Internet revolution. "Future innovation depends on the upcoming generation of technologists who are discovering new, collaborative ways to approach problems that were not dreamt of 40 years ago," he said. Registration for the DARPA Network Challenge opened last week, and details and application procedures are posted on the DARPA Web site. Nov. 30, 2009 - Global positioning system technology is being applied to older rotary-wing aircraft to help save lives, a senior helicopter pilot based at Andrews Air Force Base, Md., said. Air Force Col. Peter Mapes and other pilots at Andrews will install and test advanced GPS units, designed originally for airplanes, in some of the 316th Wing, 1st Helicopter Squadron's UH-1N "Huey" helicopters. "This is game-changing technology because it directly addresses the leading cause of loss of life in this type of aeronautical vehicle," Mapes said. The Defense Safety Oversight Council sponsored the test as part of efforts to reduce helicopter mishaps. From 1985 to 2005, 917 non-combat mishaps occurred, resulting in death, injury, damage exceeding $200,000, and the loss of aircraft. Most helicopter fatalities are caused by impact with terrain – unseen mountains, trees or other obstructions -- known as controlled flight into terrain or CFIT. Because the vehicles are generally moving at high speed during such collisions, more than 90 percent of passengers and crew exposed to these events are injured or killed. The GPS units installed in the Hueys help prevent- CFITs by displaying maps of potential obstructions at a certain elevation. "This device has a global terrain database and will warn you of any potential collision," Mapes said. "It also has an obstruction database for North America, Central America and Western Europe that will warn about towers if you're in those areas." The new GPS systems, he explained, turn each helicopter into a sort of "mini radar station." In addition to providing data on obstructions and terrain, it also tracks weather patterns – including lightning strikes, wind flow and rain – and other aircraft in the area. Unexpectedly bad weather is the second leading non-human factor responsible for Army helicopter mishaps, and the leading non-human factor causing fatalities. But, by using the new equipment, officials say, a pilot can essentially fly "blind" using the GPS and weather data to make flight plans, observe potential obstructions and even land the aircraft with minimal visibility. The unit, a GNS-530AWT produced by Garmin, also gives the helicopters radio communication and navigation requirements, making them easy to deploy worldwide. Desert Hot Springs, Calif., has installed a network of public surveillance cameras in public places (including city parks) and in squad cars. The network can be monitored by dispatchers and officers over a secure outdoor wireless network. Desert Springs Police Chief Pat Williams said this is the first system in the country to use this mobile monitoring application. The public surveillance cameras will be monitored live in the event of a call to check a specific site; they can also be passively monitored by reviewing tapes after an incident. The squad cameras will be continuously monitored through a live streaming function. Officers will be able to tune into each other other’s dash cams in the event they are called on to provide backup. Initial installation includes 30 cameras but the network has the potential to expand to 150 units. Lansing, Mich., plans a Dec. 14, 2009 launch for a new community information text-messaging service that will deliver timely information about emergencies and other events. Users will receive texts through their individual plans and will sign up through Nixle (www.nixle.com), which provides free secure texting services to public entities and other organizations nationwide. The city will send messages that include details on emergency situations and what actions, citizens should take. Lansing will also use the service to provide other public service announcements, such as information about snow plowing. Users can decide which classes of alerts they will receive. The Wireless Phase II (WP2) network recently launched in several East Texas counties and cities sends emergency dispatchers the latitude and longitude of someone making a call from a cellular telephone. Under the system, cellular providers give caller location to public safety answering point (PSAP) dispatchers with the actual location of a caller (within distances mandated by the Federal Communications Commission). Previously, the companies could only identify the tower location the call came from and the call back number. The East Texas Council of Governments (ETCOG) launched deployment and testing of WP2 in December 2008, with testing completed in August 2009. Participating PSAPs include police departments in Canton, Carthage, Gladewater, Jacksonville, Palestine, Mineola and White Oak and sheriff ’s offices in Anderson, Camp, Cherokee, Gregg, Marion, Panola, Rains, Upshur, Van Zandt and Wood counties. The California Penal System recently added a second cell-phone sniffing dog to a pilot program being run at Solano State Prison. Drako, an 18-month-old Belgian Malinois, is undergoing training as part of the state’s effort to stop the smuggling of cell phone to inmates. In 2008, more than 800 cell phones made their way into the medium-security facility in venues as varied as body cavities and cakes. It takes approximately eight weeks to train a dog to detect the odor that is specific to cell phones. In Bucks County, Pa., seven police departments have begun to use software that provides information-sharing capability among their officers. Cody Systems’ Collaborative Object-Based Regional Access (COBRA) system has been donated to all departments in the county at no cost in honor of a police officer who was killed in the line of duty. Patrol officers can access COBRA through their laptop computers, searching on persons, incidents and vehicles in any Bucks County district. Information entered into one jurisdiction’s system can be accessed by other jurisdictions within minutes. The system was donated in memory of Newtown Borough police officer Brian Gregg, killed in 2005 by a man with a history of violent behavior. Law enforcement agencies in Gwinnett, Clayton and DeKalb counties in Georgia have joined a U.S. Department of Justice/U.S. Department of Homeland Security initiative, Secure Communities, which is administered by U.S. Immigration and Customs Enforcement (ICE). When a participating agency arrests an individual, Secure Communities can determine whether that individual is a criminal alien and take appropriate action. Previously, the Georgia agencies checked arrestees’ fingerprints against a system maintained by the FBI. Now, fingerprint information will be checked against both the FBI system and DHS immigration records. A match will trigger an ICE evaluation. Top priority is given to individuals with prior convictions for major offenses. The Beaumont (Texas) Police Department recently began using a new automated license plate recognition system that uses cameras mounted on patrol cars to read license plate numbers of nearby vehicles, scanning them against databases of cars that have been reported stolen. The department has already recovered eight stolen vehicles using the system, funded through a grant from the Texas Auto Burglary and Theft Prevention Authority. Montgomery County, Pa., residents can log onto the county Department of Public Safety’s Web site and obtain near real-time data about emergency calls via a live Web-based interface with the emergency computer aided dispatch system. Located at http://dps.montcopa.org/webcad, the site, which is the first of its kind in the nation, provides information on fires, medical emergencies and traffic-related incidents 24/7. Police calls are not included to help ensure officer safety and full residential addresses are not provided, only block numbers. The site offers integrated mapping capability, features for Web-enabled mobile phones and links to live audio streaming from emergency radio channels. The Deptford (Pa.) Police Department has used an $18,000 U.S. Department of Homeland Security grant to purchase a new license-plate recognition system that will scan thousands of plates every day. The system then runs the license plate numbers through several databases and alerts officers if a vehicle has been reported stolen or if its owner is wanted under an outstanding warrant. Deptford becomes the sixth Gloucester County department to implement the system. On the first day the system went into use, it helped lead to the arrest of two alleged car thieves. One of the men faced outstanding warrants in three states on drugs, assault and weapons charges. Other arrests followed in the first two weeks of use. ShotSpotter, a gunshot tracking system that has been adopted by more than 45 jurisdictions nationwide, has recently been deployed in areas of Westchester and Nassau counties in New York and suburban New York City areas in New Jersey and New Haven. The system has had various successes, including leading New Haven police to a women with a smoking gun still in her hand. In Nassau County, the system allowed police to locate a wounded victim and transport the individual to a hospital in the absence of a citizen 911 call. Police officials also hope the system will deter would-be shooters. ShotSpotter uses microphones to transmit the sound of a gunshot to a police department computer and use wireless sensors to triangulate the location of the noises. ShotSpotter is guaranteed to locate a shot within 80 feet of where it was fired. Nov. 24, 2009 - Dependable communication is essential for any successful organization, and for a deployed military unit, that holds all the more true. Keeping communications dependable here falls in part to Army Master Sgt. Thomas Kemble and Army 1st Lt. Francis Conroy of the Pennsylvania National Guard's Headquarters and Headquarters Company, 28th Combat Aviation Brigade. Kemble and Conroy work in the "S6" shop, which is responsible for most types of communication used by the 28th, including computer, telephone and radio. They also are responsible for ensuring video teleconferences are reliable, secure and available as needed. The brigade's units use video teleconferences to communicate within Iraq and with leadership back home in Pennsylvania, Kemble said. Kemble said he sets up his video conferences using a computer, a large monitor, a webcam and microphones, and the group he plans to link with must have the same setup on their end. "The drawback is limited bandwidth, so we are routed through special communication hubs," he said. "We hook into the hub, which then hooks us into a conference." Hubs in Iraq are located in Baghdad and Basra. "We are in a location that does not have commercial Internet support, so we set up our own backbone to access commercial Internet," Kemble said. The soldiers use a combination of military and civilian support for their mission, he said. Mission-related communications are done on a secure network, and communications not related to the mission, such as morale events, are done on nonsecure networks. "We've set up conferences here on Adder for [Multinational Division South] to hook up with the aviation brigade and other commands," Conroy said. AT&T has the contract for nonsecure broadcasts, and is used as the hub for communications back home, the Springfield, Pa., resident added. Kemble and Conroy set up a conference with a family readiness group's Halloween party for unit families. The children had their costumes on, and they could talk with and see their parents and loved ones here. Also, with technical support from St. Francis University on Oct. 12, Kemble set up an opportunity here for soldiers to participate. The event gave older veterans some interaction with today's soldiers and allowed them a glimpse of daily life and duty in Iraq. Aside from running conferences, Kemble is the main communication security custodian, which means he ensures all electronic communications are secure for transmission. Conroy also works with the supply shop to order communication equipment and issues the brigades mobile and satellite phones. Nov. 18, 2009 - U.S. and NATO representatives are gathered in Rome brainstorming for solutions to make their security elements work better together, officials said today. Security experts participating in Concept Development and Experimentation Conference workshops are pondering U.S.-NATO interoperability issues such as countering hybrid threats, security force assistance, strategic communications and deterring nonstate actors, said Navy Rear Adm. Dan W. Davenport, chief of U.S. Joint Forces Command's joint concept development and experimentation directorate. The annual conference began Nov. 16 and ends tomorrow. One insight that surfaced at the conference is "the need to embed strategic communications in every aspect of operations and making that a part of the planning and execution of the operations themselves," Davenport said. Conference participants also ponder "the complexity and the uncertainty of the future environment," Davenport said. For example, he said, security experts believe that some small, nonstate actors may one day possess large, conventional military capabilities. U.S. and NATO military forces "must be prepared to be able to deal with the full range of operations and the full range of capabilities that we face," Davenport said, as well as possess the ability to operate in several potential threat environments. Some security experts also predict that future potential enemies, both nonstate actors and possibly nation states, will turn to a mix of asymmetrical and conventional threats, known as hybrid warfare, to confront the prodigious military power of the United States and its allies. The world has witnessed hybrid-type warfare before, noted French navy Rear Adm. Christian Canova, deputy assistant chief of staff for future abilities, research and technology at Allied Command Transformation, a NATO command collocated with Joint Forces Command in Norfolk, Va. The British in Northern Ireland, the French in Algeria and the United States in Vietnam, Canova explained, all fought opposing forces that employed a mix of guerrilla and conventional warfare during the 20th century. Yet, although hybrid warfare is not new, he added, not all of NATO's 28 member nations have experience confronting such a threat. NATO's challenge is to have a common understanding of hybrid warfare among its 28 members, Canova said. Nov. 13, 2009 - As Pentagon officials look for ways to increase intelligence, surveillance and reconnaissance support for warfighters in Afghanistan, the Air Force's first unmanned aircraft systems wing already is on the case in its never-ending quest to provide more and better intelligence through the systems they fly. "I don't have to tell them to try to make it better," Air Force Col. Peter E. Gersten said of his 432nd Wing and 432nd Air Expeditionary Wing airmen at Creech Air Force Base, Nev. "They are working to make it better every day, all by themselves. ... Better every day is kind of a theme here." The 432nd Wing flies the MQ-1 Predator and MQ-9 Reaper, both remotely piloted aircraft that provide 24/7 eyes in the sky over troops in Afghanistan and Iraq. "Our mission is to keep the joint ground fighter out of trouble, and when he gets into trouble, it's to get him out of trouble as soon as possible," Gersten said. "And with this new technology, we can do that now." Both the Predator and Reaper provide a capability that Gersten, an F-16 pilot, said a pilot in the cockpit simply can't: a "persistent stare" and ability to hover over a precise location for as long as necessary. "We have the ability to oversee the joint ground warfighter 24 hours a day, seven days a week, with no weekends and holidays and without a break," he said. "We are not going 500 miles an hour. We are going 120 knots, right on top of him, and we are orbiting around him and helping him. "We are dedicated to supporting him," Gersten said, "and we don't do anything else." When a convoy leaves the "wire" in Afghanistan or Iraq, the 432nd Wing airmen oversee them every step of the way. "We are going to be there from the time they leave their forward operating base to the time they get to their desired destination," he said. "We are going to watch that soldier on the ground as he begins to do his search mission. We are going to be there." Geren said the aircraft's ability to hover overhead for as long as necessary is a key in ensuring the information it gathers is complete, and that if strikes are required, they're precise. "We don't show up on the battlespace and have 15 minutes of hold time to build our situational awareness," he said. "We have a high capacity to make sure that we have the exact, right target in our crosshairs. "Time is not our enemy," he said. "We own time." As his airmen fly the aircraft, analyze the mountains of raw data gathered and sift out what matters most to troops on the ground, Gersten said, there's really little about the systems that are "unmanned." He considers the term "unmanned aerial vehicle" a misnomer that loses sight of the manpower every mission entails, preferring the term "remotely piloted aircraft." And he makes it clear that when he refers to the "system," he means far more than the actual aircraft. "When I talk about the system, I am talking about the airplane, the ground station, the communication that links the ground station to the airplane, the product we produce that goes out -- the actual ISR intelligence," he said. He noted the big network of airmen involved in the process, all committed to getting the information the aircraft collects into the hands of warfighters who need it. Regardless of their function within that framework, Gersten said, they recognize the value of their contribution. "I hear stories all the time about how one of our aircraft stopped a convoy from driving over an [improvised explosive device] or kept a soldier from walking around a corner where there was an ambush, or helped get a wounded soldier out of a city by guiding him out," he said. "Those stories are day-to-day here. It's part of the pride of being 100 percent for the joint ground warfighter, every single day." When he first sat down to watch his airmen at work after taking over his new command in June, he admitted, he was bowled over by their expertise. "The ability to talk, fly, communicate, text and execute, all very seamlessly, is a tremendous skill set," he said. "And it is amazing to watch them do it as fast as they do." During his commander's calls, Gersten challenges the wing's airmen to channel their creativity and know-how to making the systems even better. "I can't tell you what these systems are going to look like 10 years from now, but you can," he tells them. "You are the ones who will make this system the future. ... Make it something better than it is." And they're coming up with new ideas every day. Some are "completely outside the box, but executable," Gersten said. Others are "way out there," not necessarily applicable now, but present new approaches and new ways of thinking that could apply down the road. Gersten said he's particularly impressed with his wing's ability to take raw data collected by unmanned aircraft and translate it into "decision information" ground troops can act on. "There was a time when we said, 'I'm drowning in data, but I am starving for knowledge.' But we have changed that," he said. "Four to six years ago, it was pretty good. Two years ago, it was really good, and today it is exceptional. Tomorrow, it is going to be beyond exceptional." This capability has generated an almost insatiable appetite for the support unmanned aerial systems provide. The Air Force has taken notice, funding more unmanned than manned aircraft in this year's budget and training more pilots to fly unmanned aerial vehicles than fighters and bombers combined. Yet, Gersten finds himself constantly working to allay some people's concerns that unmanned aircraft will some day muscle out their manned counterparts. Remotely controlled aircraft have their unique capabilities, he said, and manned vehicles have theirs. "We do a great job of enduring over the battle space, but we can't carry the load of a B-2 [bomber]" Gersten said. "We can go do endurance, and then they can come in and help us out. Or they can come in and do their job, and we can come in and look at it afterwards. "It's not one system that is going to overtake the other," he continued. "These systems are complementary and have a very synergistic capability. So when people ask, 'Which way is it going?' I say, 'It's going together.' It is not a question of one or the other. It's a question of how much of each we need to secure the nation's interests." Nov. 12, 2009 - It takes an average of more than six and a half years from the time a Defense Department program is first funded to when it becomes operational, the department's No. 2 official said today. Speaking to a group of information technology professionals at a conference here, Deputy Defense Secretary William J. Lynn III, laid out some of the challenges the defense acquisition process faces related to IT systems, and what the department is doing to remedy them. Lynn said the current timeline means technology systems are being fielded five generations behind the state of the art. "By comparison, the iPhone was developed in less time than it takes [the Defense Department] to budget for an IT program," he said. Laying out other challenges, Lynn said the military's infrastructure does not always take into account the technology savvy of many of its users – servicemembers whose youth and familiarity with gadgets puts them in the "digital natives" demographic. "Unless we build systems for tech-savvy soldiers," he said, "we will continue to limit ourselves in the fight against tech-savvy enemies." How the department integrates information into operations is among the most important determinants of U.S. military power, the deputy secretary said. "That's why IT is a focus of the Quadrennial Defense Review -- the department's once-every-four-years look at the threats we face, how we respond to them and what our national strategy should be," he said. Quoting his boss, Defense Secretary Robert M. Gates, Lynn said the old paradigm of looking at potential conflict as either regular or irregular war, conventional or unconventional, high-end or low, is no longer relevant. "We now face a world of hybrid warfare -- insurgents with [improvised explosive devices] that can pierce heavy armor, terrorists that aspire to use cyberwarfare, and rogue states with weapons of mass destruction," he said. "These are the threats the QDR is grappling with. To defeat them, we need a portfolio of military capabilities with maximum versatility across the widest possible spectrum of conflict." IT plays a crucial role in the era of hybrid warfare, giving U.S. warfighters more information about the threats they face and equipping them with the tools to defeat them, Lynn said. "When our soldiers leave their bases in Iraq and Afghanistan, they travel with computers networked into powerful databases and combat support systems," he said. "Information that used to be squirreled away in headquarters, or on file in Washington, can now be accessed on displays in their vehicles. "Not too far away, it will also appear on handheld devices that they carry individually," he added. Lynn said such systems have made possible successes on the battlefield and in the realm of intelligence. "Yet many of [these systems] did not exist when the conflict in Iraq and Afghanistan began," he said. "They are here now only because of the dogged inventiveness of our troops in the field, who refused to accept the slow speed of the acquisition process in Washington." Lynn said the U.S. military's continued success on the battlefield is contingent on continuing to field game-changing technology. "Our challenge is to take wartime successes in innovation and institutionalize them departmentwide," he said. A Massachusetts high school is serving as a test site for a wireless encrypted surveillance system that provides live audio and video feed directly to police cruisers’ laptop computers. Rich P. Kelly, one of the system’s developers, said it will improve the safety of students and police because officers can see and hear what is happening inside the school from within 100 meters outside the building. In case of an incident requiring police response, police would be able to quickly obtain accurate information, assess the situation and act accordingly. Fitchburg High School is serving as a pilot site at no cost to the city of Fitchburg. The system, developed by Emergency Surveillance Systems of Glendale, Ariz., is close-looped and encrypted, which means only laptops that have the specific software can view into the high school. Other similar surveillance systems use the Internet, which Kelly said is less secure. Fitchburg will be able to use the system free of ! charge as long as the city allows the school to be used for upgrades and product testing. A new project aims to get hardened criminals out of Rapides Parish (La.) and keep them out for a long time. Project 50 will focus on the 50 “worst of the worst” criminals through better investigation and prosecution of their cases. Once the offenders are convicted, project organizers want to remove them from their social criminal support network by sending them to prison far away from the area and severing their ties to the community. Project 50 coordinator and Rapides Parish assistant district attorney Loren Lampert said they are developing program criteria for eligibility, including number of convictions, age and criminal and employment history. If after three years the program does not seem to be reducing crime as hoped, the resources will be reassigned. In addition to the district attorney’s office, other partners in the program include Louisiana College, the Rapides Parish Sheriff’s Office, the Alexandria Police Department, Louisiana Probation and Paro! le, the 9th Judicial District Court, the U.S. Marshal’s Fugitive Task Force and the Department of Corrections. The days of Virginia State Police catching speeding drivers from the air are over, due to budget cuts. Fiscal necessity has forced the agency to close its Manassas airport and sell of one of its planes. Police have been using aerial patrols for nine years. Four Cessna aircraft were equipped with devices to calculate speed based on how long it took to travel a certain distance. A pilot and a trooper flew over interstates. If an air trooper spotted a driver speeding, the officer would radio a trooper on the ground, who would pull the car over. Police might resume air patrols once the economic situation improves. Western Oregon University has received a $685,000 National Institute of Justice grant to study how to enhance latent fingerprint technology. A group of four professors will expand the current methodologies of analyzing latent prints in order to develop standardized probability measures. The project team will look at more information taken from a print to evaluate a print’s characteristics and potentially make more reliable matches. Professor Emma Dutton said the group will apply different technology to attempt to expand and enhance current practice, for example, applying a geographical information system to perform spatial analysis. Spatial analysis is the study of distribution of features in a fingerprint. Researchers will use a three-dimensional, rather than a two-dimensional approach, for examining fingerprints. Two counties along the New York border with Canada are finding that citizens’ increased use of cell phones to call 911 is making it difficult to locate callers. Officials in St. Lawrence and Franklin counties said the lack of towers on the U.S. side of the border is causing glitches in the technology that is used to pinpoint the location of a cellular 911 caller. St. Lawrence County Emergency Services Director Martin Hassett said calls sometimes don’t show up on a map; they show up on a tower, and officials have to try to triangulate it. If part of the triangulation is a tower in Canada, they can’t do it. Due to increased cell phone use, St. Lawrence County dispatchers had handled 35,331 calls through Sept. 30, 2009, compared with 18,168 calls received in all of 2006. The Los Angeles Police Department has unveiled a prototype “smart” squad car with state-of-the-art technology. The car has an in-dash computer, in-car video, license plate readers and a heat detection device in the grill to detect people and animals at a distance. A future version of the car would have cooling ducts in the seats. The car cost $25,000 to $30,000 to build and was developed by LAPD with the National Safety Agency in Australia. LAPD is looking for a company willing to manufacture a number of the cars. Louisiana is expanding two programs to deter vehicle theft. The Louisiana Automobile Theft and Insurance Fraud Prevention Authority is expanding its Vehicle Investigation Prevention Enforcement Response (VIPER) and License Plate Recognition (LPR) programs. Under VIPER, “bait” vehicles donated by insurance companies are equipped with the latest digital, video and audio recording devices; GPS tracking; and remote door locking and engine shutoff capabilities. If someone attempts to steal the car, law enforcement officers can activate the system and stop the bait car, lock suspects in it and make arrests. Two bait cars have been placed in Baton Rouge, one in Shreveport and one in Lake Charles. The bait cars combined have resulted in 75 activations and 99 arrests. New Orleans just received a bait car in September, in addition to a second LPR. The readers capture photos of vehicle license plates and send the images to a central database to determine within seconds! if the vehicle has been reported stolen. All of the LPRs in Louisiana combined have aided in recovery of 91 stolen vehicles valued at $914,000. Four Missouri law enforcement agencies will be the beneficiaries of a $1.2 million U.S. Department of Justice grant to be used for more vehicle mobile data centers. Buchanan County will use the grant to purchase equipment and software to install the technology in vehicles for the St. Joseph Police and Fire departments, the Buchanan County Sheriff’s Department and the Missouri Western State University Police Department. Equipment includes laptop computers, mobile radios, license barcode readers and handheld ticket writers. Police began installing the technology in vehicles in 2007. The technology allows officers to file reports electronically, enabling the department to track statistics quickly. Previously, officers hand wrote reports and another officer entered them into the computer weeks or months later. When it comes to investigating clandestine drug labs, when in doubt, first responders should stay out of the area and call in experts. That tip was among the advice provided by Arthur Musselman, a hazardous materials specialist for the Georgia Police Academy, during a recent presentation on clandestine laboratory safety and awareness for first responders with little experience with clandestine labs. Signs of a lab nearby can include dead animals such as squirrels or birds or dead plants or trees. Strange odors or noises are also clues. Sudden, unexplained rashes or trouble breathing are obvious signs of trouble, but the responders’ goal should be to be knowledgeable enough to avoid that happening. Many clandestine labs are cluttered with common household items such as paint thinner and bleach. When entering a suspected drug lab, responders should look for crock pots and pressure cookers, a lot of glassware, ventilation systems and raw ingredients for manufa! cturing drugs. They should use protection, such as self-contained breathing apparatus. When in doubt as to what might be present at a suspected lab, secure the scene and call for expert help. Nov. 10, 2009 - It's 2 a.m., and the intelligence electronic warfare maintenance section of the 1st Armored Division's 4th Brigade here is ready to spark into action. "We're on call 24 hours a day, seven days a week," explained Army Warrant Officer Fernando Aguirre of Los Angeles. Aguirre spearheads the section, overseeing day-to-day operations, providing guidance to commanders, and mentoring soldiers. The section's 12 soldiers officially are responsible for maintaining all intelligence and communications security equipment used by the military intelligence company assigned to the 4th Special Troops Battalion. "Unofficially though, we also fix everything from coffee pots and iPods to satellite dishes," Aguirre said. Army Sgt. Jonathan Culpepper of Atlanta, the section's shop foreman, spent more than 11 months training for his current job. "I'm responsible for all maintenance activities," he said. "This is probably one of the most mentally challenging military occupational specialties." Army Spc. Brent Leverette of Augusta, Ga., is one of two cryptological equipment repair specialists in the section. "I'm responsible for fixing all the [communications security] equipment for the whole brigade combat team," he said. This means he also is responsible for fixing equipment at the more than 15 outlying bases in Iraq's Dhi Qar, Maysan, and Muthanna provinces, where "Highlander" soldiers advise and assist Iraqi security forces. The section's soldiers also work with civilian field service representatives to ensure equipment is fixed or replaced in a timely manner. "If we can't fix it, we send the equipment to the [field service representatives]," Aguirre said. "They usually send us a brand new piece of equipment. It doesn't matter how long it takes to fix the equipment. We've worked for 36 hours straight before. We want to be, and are, the premier electronics maintenance shop in the brigade." Nov. 9, 2009 - Scientists at the U.S. Army Tank Automotive Research, Development and Engineering Center are researching armored vehicles made with built-in sensors that automatically report when they are damaged. Thomas Meitzler, a research scientist at the Michigan-based organization, said the aim is to give troops real-time situational awareness of the health, condition and structural integrity of their vehicle's armor. "Currently, the standard procedure is to go out of the vehicle, walk around and look at it," Meitzler said during a Nov. 4 interview on the Pentagon Channel's weekly podcast, "Armed with Science: Research and Applications for the Modern Military." Meitzler, the team leader of TARDEC's nondestructive testing and evaluation laboratory, said normal wear and tear can cause damage lamination and produce cracks that are invisible to the naked eye, and noise on the battlefield can prevent an armored vehicle's occupants from hearing when small-arms fire causes damage. Tiny sensors called piezoelectric transducers are manufactured right into armored plate materials and detect changes in the plates' condition. "We are basically using ultrasonic waves through the material as our probe on the health assessment of the armor," Meitzler said. The sensors send automated reports to graphical displays in the crew compartment. TARDEC developers have devised a color-coded system: green indicates the armor is healthy, black points out damage such as cracks, and red shows spots where the armor has been hit, for example, by ground fire. The system runs a self-check each time the vehicle is turned on, and evaluations can be run manually at any time. Meitzler said initial tests have been successful and show the sensors are energy-efficient. "We are actually surprised how little voltage we need to supply to the transducers to get them to send ultrasonic waves through the material and, in fact, we can even use piezoelectric transducer strips as a kind of energy harvesting device," Meitzler said. Just driving the vehicle around could cause the sensors' piezoelectric fibers to generate energy. "When there's any kind of strain or stress, those fibers will convert the mechanical deformation to a voltage, Meitzler explained. "And then that voltage can be stored in a battery, which can later be used." Other future uses for the sensors go beyond signaling when armor is damaged, he said. They also could be used to monitor temperature, act as antennas and perform other functions that would contribute to the survivability of U.S. servicemembers, including monitoring the condition of body armor. "Most of the sensors and technology we're developing for vehicles can be applied quite easily to body armor," Meitzler said. The first phases of testing involved shooting armored plates made with the sensors inside TARDEC's lab and analyzing the results. Meitzler said the next step is to test their durability in the field. Nov. 6, 2009 - Coalition and joint terminal attack controllers used a simulator to hone their skills in calling in close-air support during U.S. Joint Forces Command's advanced-concept technology demonstration Bold Quest 09, which concluded here and at Marine Corps Air Station Cherry Point, N.C., yesterday. The JTAC Virtual Trainer is a system of training applications and simulators providing joint terminal attack controllers with an opportunity to hone their aircraft-control skills in a field environment with pilots in aircraft simulators that could be located anywhere in the world, said Phil Shevis, who works in the operations office of Joint Forces Command's joint training directorate. Shevis said the trainer saves time, money and resources. "We are trying to enable realistic JTAC training in a field environment," he explained. "Although it is preferable for JTACs to train with live aircraft and live ordnance, this is costly, and oftentimes the aircraft are diverted due to weather or mechanical issues. This capability allows the JTACs to get the training even when the live assets aren't available." Additionally, simulations provide opportunities to train in realistic conditions without going to the combat theater. "You can work with coalition forces," Shevis said. "You can use terrain that is in theater even though you're at home station." The simulator was brought to Bold Quest 09 to give JTACs from the United States and its allied partners a chance to use and give feedback on the system to the development team. JTACs used a remotely operated video-enhanced receiver, or ROVER -- a durable laptop computer with wireless capability and a radio over a network system -- to communicate with a pilot "flying" an F-16 simulator in Germany, enabling them to see what the pilot saw. The pilot simulated an F-16 flight over Lejeune's training areas. The "target" - in one case a typical sport-utility vehicle - was replicated in the simulation as a target for a close-air-support mission. Using the ROVER and a piece of equipment on loan from the United Kingdom's defense ministry, the JTACs called in simulated air strikes on the vehicle. U.S. Air Force Maj. Garret Lacy, director of current operations at the Warrior Preparation Center in Germany, said the ROVER allows JTACs to help pilots find the correct target in a chaotic battle space. "We're using simulations connected over a network to feed that information," Shevis said. "In this particular instance, what we're doing is connecting through the Joint Training Experimentation Network to the Warrior Preparation Center in Germany. They're running two simulators: an F-16 simulator and a Predator simulator. Those two systems are going to generate video, which we're going to transmit to the JTACs on their issued equipment." The WPC has been working on JTAC simulations of its own for some time, and Lacy said their work came about because JTACs often were being deployed before they could train with the equipment they would be using. "We noticed with the Afghanistan conflict and in Iraq, some of the JTACs were going downrange without getting the chance to work with the gear that they were actually going to be using," he said. "They were using it for the first time in combat, which we thought was unacceptable." During the demonstration, JTACs from several countries tried the JTAC Virtual Trainer. A Norwegian army special operations JTAC said it could be a very useful tool in training his nation's warfighters. "We think that it might be very suitable for us, because we have a simulator training program where we are based as well," he said. "It could be very useful for us to do some training without real aircraft." Nov. 5, 2009 - The chief of U.S. Strategic Command wants better tools for protecting against threats from space debris -- an estimated 20,000 pieces of manmade material orbiting around the planet. Air Force Gen. Kevin Chilton laid out what he described as his "wish list" yesterday, emphasizing the importance of being able to predict collisions between debris and valuable satellites. Given the scarce number of personnel tasked with carrying out this mission, "we are decades behind where we should be, in my view," Chilton said in a speech yesterday at Offutt Air Force Base in Omaha, Neb. The collision in February of an American and Russian satellite changed an assumption underlying the use of space. Chilton called the collision between the Iridium and Kosmos satellites the "seminal event" of the year for Stratcom. "The big space theory, like the big sky theory, kind of came to a close when that happened -- the thought that we wouldn't have to pay attention to the movement of every satellite up there because there's so much space up there and such a low probability that they'll run into each other," he said. Those working in the field likely never bought into the theory that a collision was unlikely, the general said, and the event drove home the reality to those responsible for budgeting. "It's amazing what one collision will do to the resource spigot," he said. "Once that happened, we started to see some resources start to flow in the right directions and some creative thinking going on to improve our ability to predict collisions between the 800 satellites that we care about up there that are active and the over 20,000 pieces of total debris." Chilton cautioned that the 20,000 estimate could likely be off "by an order of magnitude" of actual materials able to damage satellites and systems in orbit. As in other military scenarios, maintaining situational awareness is no less important in space than it is on land, in the air or at sea. "Space situational awareness is no different than the situational awareness that we demand in any other domain," he said. "And we do not provide that in an adequate fashion to my component commander in charge of space operations for the United States of America." To maintain awareness, Chilton stressed the need for sensors, which he described as the start of the process. "It starts with having sensors in the right place around the globe so you can surveil the domain," he said. He also underscored the need to replace the space fence and keep on track the space-based surveillance system. Chilton suggested more also could be done in the way the United States relates to its allies in space. "I think there are also opportunities for us to reach out to friends and allies and leverage capabilities that others have in a teaming fashion to provide the increased surveillance assets, the increased observations, that decreases the uncertainty in the location of elements in space," he said. "I think there's great opportunity for us to reach out and do that better as well." Nov. 2, 2009 - Physicists at the Army Research Laboratory are bringing quantum "ghost" imaging from the realm of scientific curiosity to practical reality. Ghost imaging is a technique that allows a high-resolution camera to produce an image of an object that the camera itself cannot see. It uses two sensors: one that looks at a light source and another that looks at the object. These sensors point in different directions. For example, the camera can face the sun and the light meter can face an object. That object might be a soldier, a tank or an airplane, Ron Meyers, a laboratory quantum physicist explained during an Oct. 28 interview on the Pentagon Channel podcast "Armed with Science: Research and Applications for the Modern Military." Once this is done, a computer program compares and combines the patterns received from the object and the light. This creates a "ghost image," a black-and-white or color picture of the object being photographed. The earliest ghost images were silhouettes, but current ones depict the objects more realistically. Meyers and his team produced the first ghost image of an opaque object in his quantum laboratory at the Army research facility. "I think, or I would hope, in a few years that we have a soldier using a quantum ghost imaging imager to look through battlefield smoke and identifying friend or foe," Meyers said. Using virtually any light source -- from a fluorescent bulb, lasers, or even the sun -- quantum ghost imaging gives a clearer picture of objects by eliminating conditions such as clouds, fog and smoke beyond the ability of conventional imaging. Meyers said there are other applications for ghost imaging in the military. Ghost-imaging sensors may allow helicopters or unmanned aerial vehicles to capture images that measure damage after a bomb is dropped. In the medical field, the imaging could improve X-rays to focus in on body parts. It also could be also used in search and rescue efforts. Meyers, who recently won an Army Research and Development Achievement Award for his work in quantum physics and imaging, said receiving this award "shows that the efforts made in this area are being looked at seriously and are being considered for future applications." "What we try to do is come up with innovative solutions that will support the warfighter," he said. "And when we can, we also spin off our technology for domestic uses." One of the biggest challenges Meyers faces is getting good measurements. "When you do a new science, you really need to perform your measurements with high quality so the experiments can be repeated by others," he said. "At the Army Research Laboratory, we've been very lucky that we've been able to be funded to get very high-quality instruments." Meyers added that he finds his career in the Army rewarding. "I think it's really the best place to work for a scientist. You're given responsibility at a young age, and you're able to go as far as your thoughts and your abilities can take you." May 2-7, 2010, Coronado (San Diego), Calif.
For the eighth year, the National Institute of Justice (NIJ) is sponsoring a Rural Law Enforcement Technology Institute. 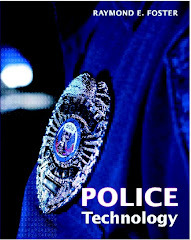 This technology institute will be held May 2-7, 2010, in Coronado (San Diego), Calif., and is targeted/designed for the command staff/supervisory personnel of rural and small law enforcement agencies containing fewer than 50 sworn officers. Law enforcement personnel will learn about and discuss technology initiatives and issues affecting the rural and small law enforcement community. Participants will receive information and assistance on existing and developing technologies, work through problems relating to technology implementation, and exchange technology lessons learned that are important to the rural and small law enforcement community. As part of the program, participants are required to give a brief (no more than 15 minutes) PowerPoint presentation on a technology issue that their department has encountered or is in the process of implementing (e.g., implementation of a crime mapping program, new communications system or automated booking station). The presentation can be either an “issues to be dealt with” or a “lessons-learned” format, depending on whether the program has been completed, and must be submitted on CD-ROM with the application. There is no registration cost and all travel, food and lodging expenses are paid. However, only 35 individuals will be selected to attend. Previous attendees of the NIJ Rural Law Enforcement Technology Institute or the NIJ Technology Institutes for Law Enforcement or Corrections are not eligible to attend. For additional information, please contact Scott Barker, Deputy Director-Rural Law Enforcement Technology Center, at (866) 787-2553 or e-mail ruletc1@aol.com.